With more and more condo units getting smaller and more pricey, where can you find a decent condo th. 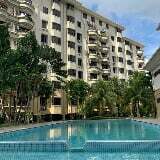 For Sale Fairway Mansion Condominium (6th Floor) RM550 000.00 Property details; 3 Be. Fairway Mansion Condominium for Sale. Second floor. Corner unit. 1356 Square Fee. Top floor Penthouse for sale in Fairway Mansion, Jalan Bundusan. Walking distance to Bukit Pa.